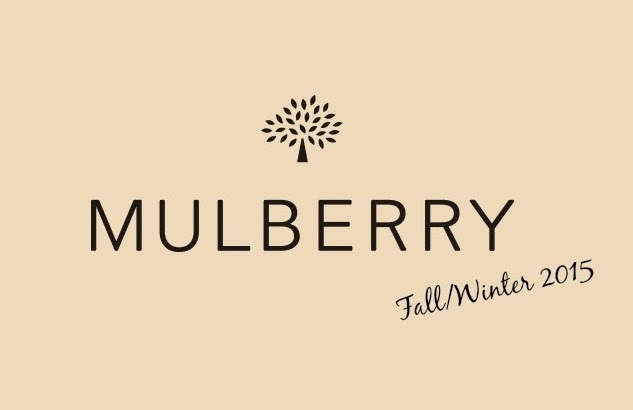 The first collection from new creative director Johnny Coca (former Céline accessories design director) and I think Mulberry has re-discovered its voice and has presented a gorgeous collection, that has a clear brand message - just wish there had been a catwalk show. As usual it's the stunning bags that catch my eye and have pulled me back in love with the brand. A great mix of old and new, with Mulberry favourites updated in fall colours - the Bayswater, Lily, and Willow tote, alongside the new Darby (a great structured style with top handle, shoulder strap and zip pocket detailing), Jamie & mini Jamie (great everyday slouchy bucket style in mixed fabrications) and Delphie (reversible clutch style, a new SS15 silhouette). A stunning rich palette with key colours - oxblood, black, army green, midnight blue and mixture of sumptuous fabrics from ostrich and printed leather to washed clad leather and suede, that add texture and detail to this assortment of stylish bags. 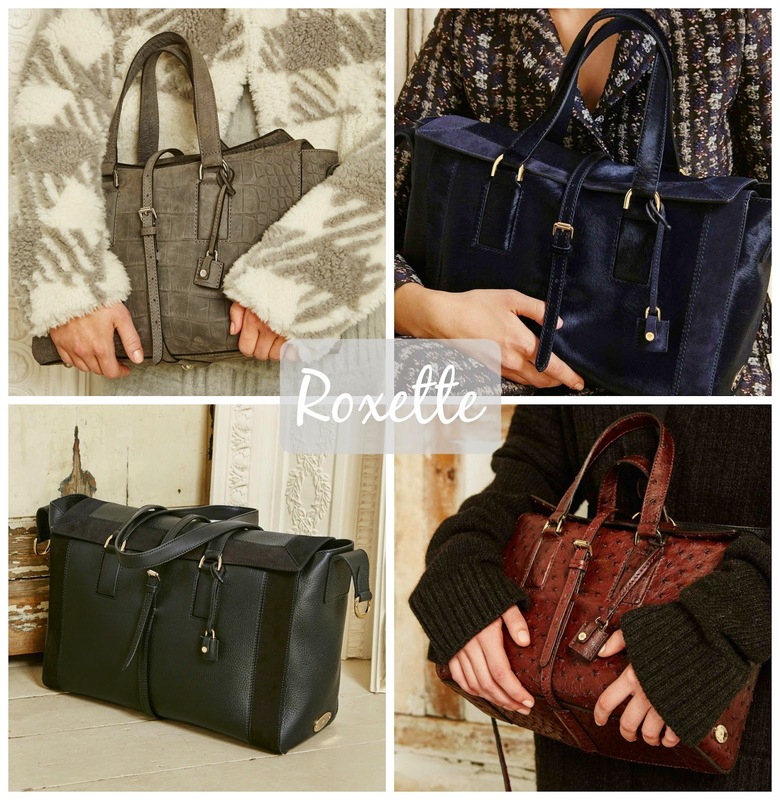 The final new style is Roxette - an update to the classic Roxanne, a gorgeous bag that reminds me of vintage Mulberry, much more the brand I know and love. This bag has stolen my heart and i think it is simply stunning, and my favourite's are the Oxblood and grey colours both in Croc Printed Leather, they have fantastic texture that adds a subtle detailing to the bag, also a great size for using everyday. Roxette also comes in Pink sheepskin, which is not to my taste as it looks a little too like a teddy bear but the silhouette and hardware detailing is fabulous. Have been considering investing in a new bag, think I may need to wait till next season and get my gorgeous vintage tan Roxanne a buddy. 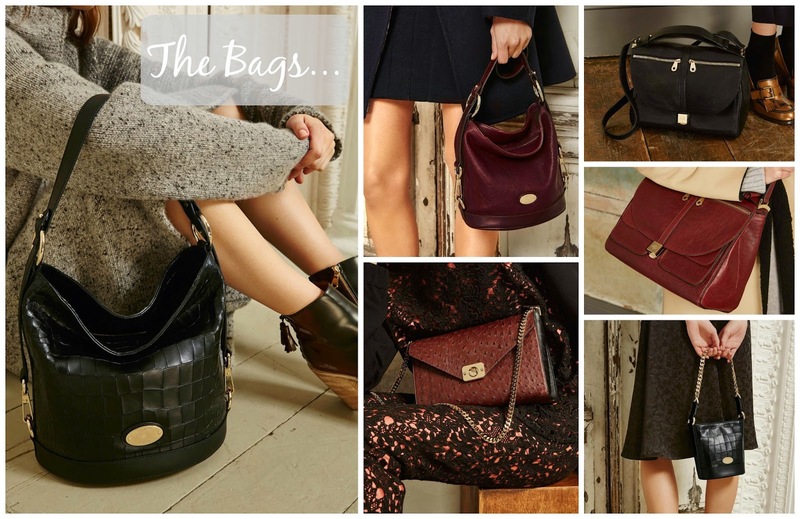 Not a massive lover of the clothing collection - but Mulberry for me always has and always will be about the bags. However these three looks from the main collection caught my eye - a sophisticated way to wear warm, ladylike knitwear. A very beautiful and well put together collection, hopefully with Johnny Coca in charge we will be seeing this brand back on top, embracing what it is known for - British heritage. What did you think to this Fashion week presentation?